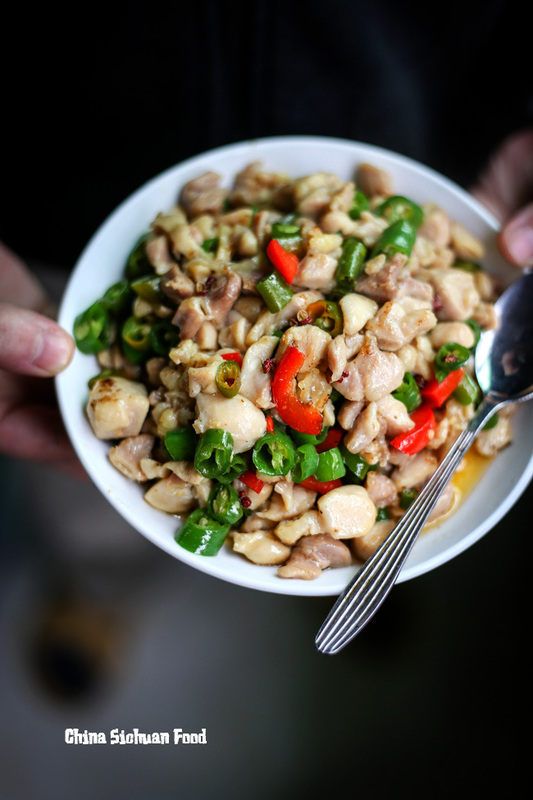 Super tender and hot Szechuan style fresh pepper chicken is one of my mom’s best dishes. Recently, Elaine is staying with my family and enjoying happy family time. We my mom is in the house, I am always watching beside the door of our small kitchen, just like childhood. It is really relax and clam time spending with parents and the lovely pet. 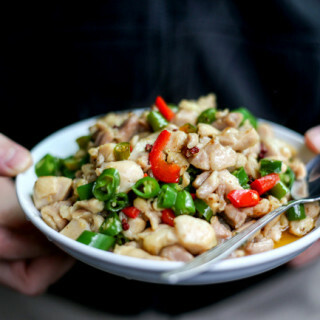 The dish I introduce today is Szechuan fresh pepper chicken (尖椒鸡). The fresh chili pepper used is long and small pepper, which is quite hot. 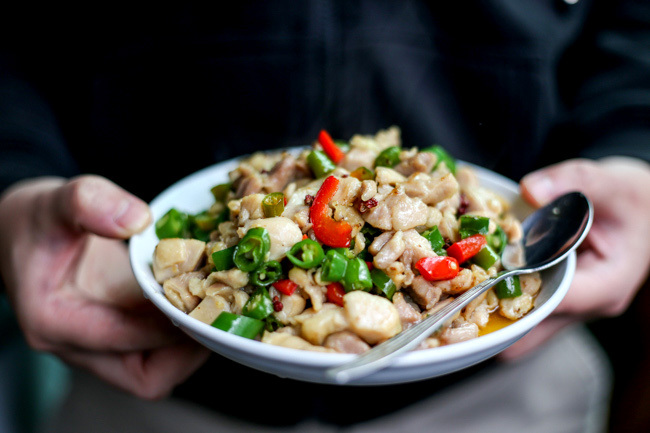 The hot chili peppers and Szechuan pepper provides a fresh hot and numbing taste. 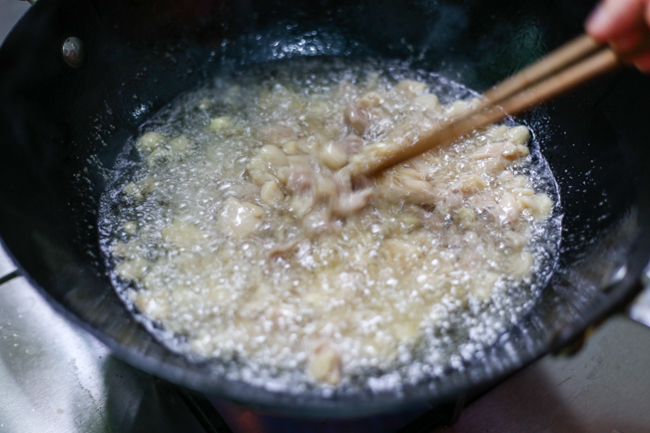 Cut chicken thigh meat or beast into small cubes, marinating with salt, Chinese cooking oil and cornstarch. 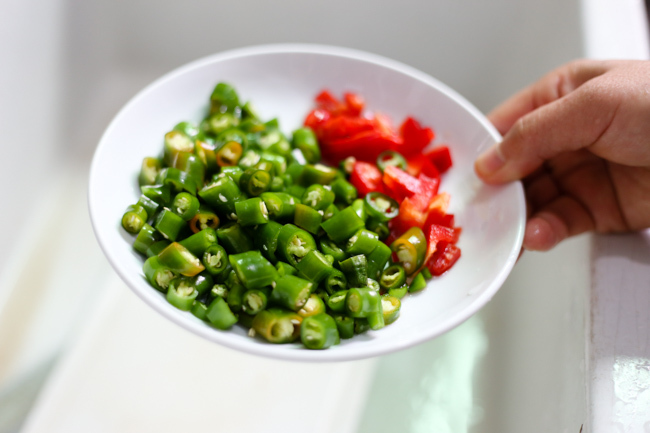 Cut fresh chili peppers into small circles around half inch long. 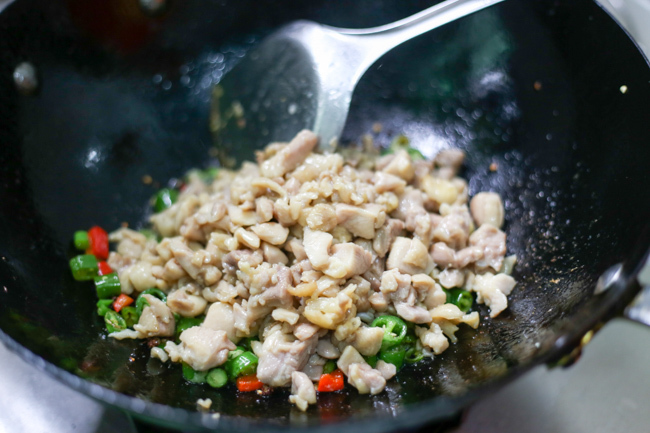 Heat a large amount of oil in wok and slide the chicken meat in. 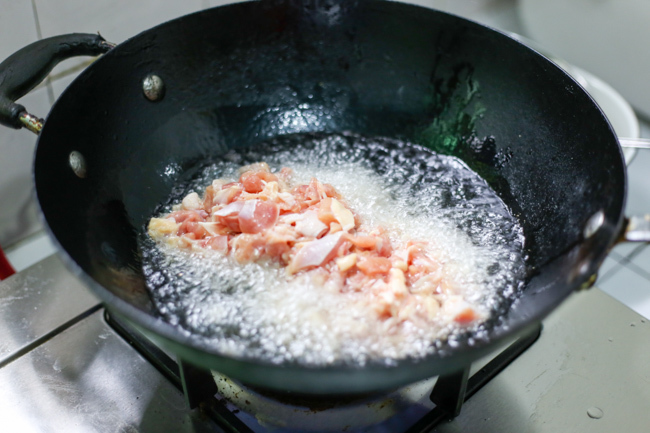 Quickly fry for half minutes until the chicken meat turns white. Then you will get the tenderest chicken in the world. 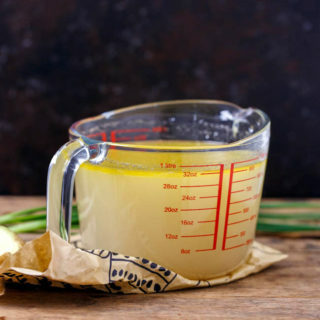 Then transfer chicken meat along with oil immediately. You can save the extra oil for classic green vegetable stir fry. 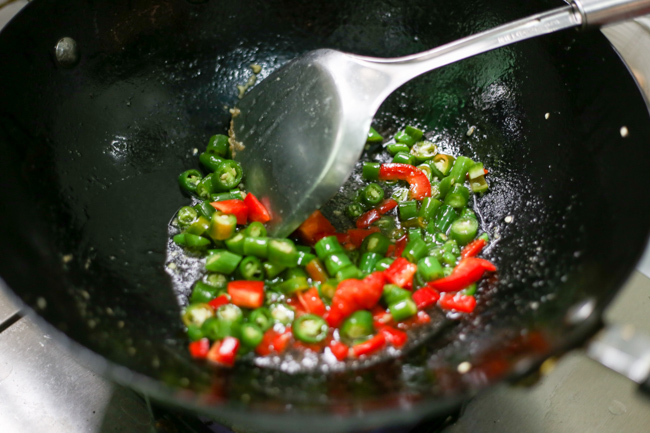 Return around 2 tablespoons of cooking oil and fry the chili peppers until aroma, add 10-15 Szechuan peppers. 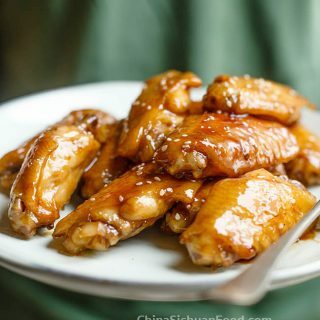 Add cooked chicken, 1/2 tablespoon of light soy sauce and sugar. Then give a big stir fry to mix well. 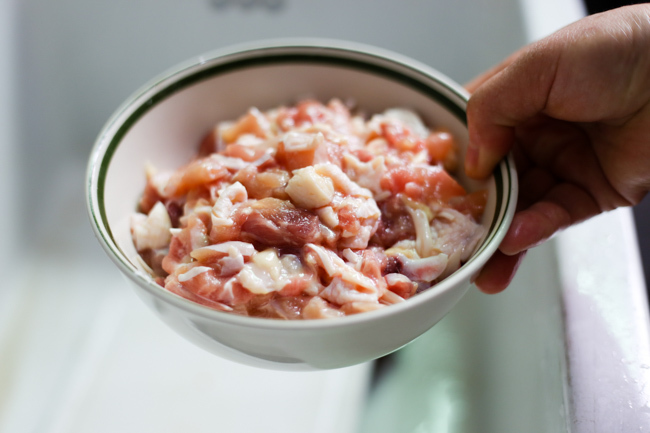 Cut chicken leg meat or beast into small cubes, marinating with salt, Chinese cooking oil and cornstarch. Add cooked chicken, 1/2 tablespoon of light soy sauce, sugar and then give a big stir fry to mix well. the red peppers in the pictures look like red bell peppers （青椒). Is that right? Yes, I am using red bell peppers for in this chicken stir fry. It is just for color balance. You can replace it with hotter ones such as Thai chili peppers. Wow. I am amazed at how great this is. I wanted to make something with ingredients I didn’t have to go out to get, so I chose this recipe and made it. The result was so awesome that I immediately packed up more ingredients and went to my friends’ apartment to make some for them. 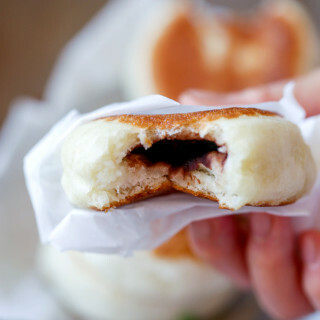 I was afraid that the small number of ingredients would lead to a boring flavor, but I was so wrong! This was perfect on a really cold, wintry day. You get it, Steven. 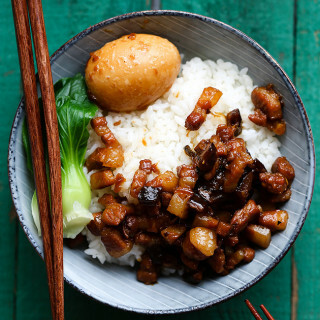 There are lots of fabulous Chinese dishes using very simple ingredients. 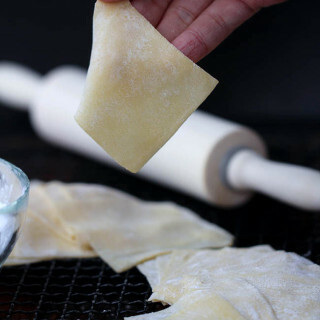 Keep trying and you will find more great dishes easy to prepare and cook in your kitchen. hi there, i am loving the recipes here. 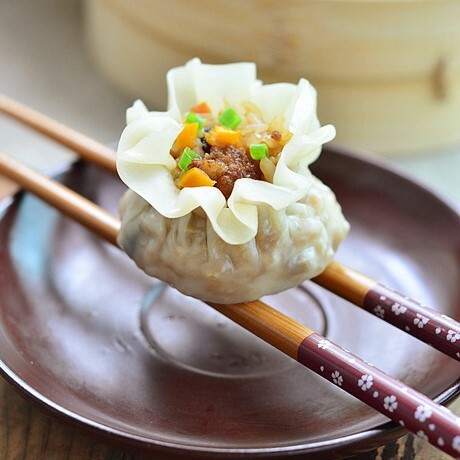 i’ve just started to delve into chinese cuisine and cooking, in general. could you elaborate on stir frying the chicken for half minutes? i am not sure what half minutes would constitute. how long is the chicken fried in step 2, so it’s fully cooked? secondly, i would love an instant pot recipe for chinese curry chicken. 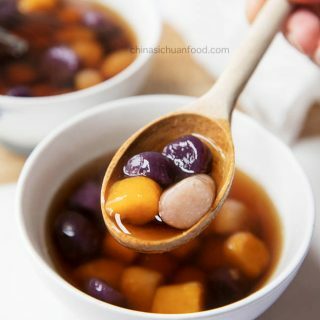 i made your red bean soup in my instant pot, and it turned out delicious. 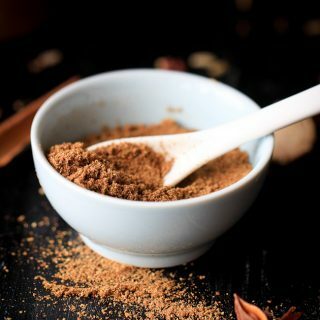 please do share an instant pot recipe for curry chicken, with a sichuan spicy twist would be even better! 🙂 thank you very much. 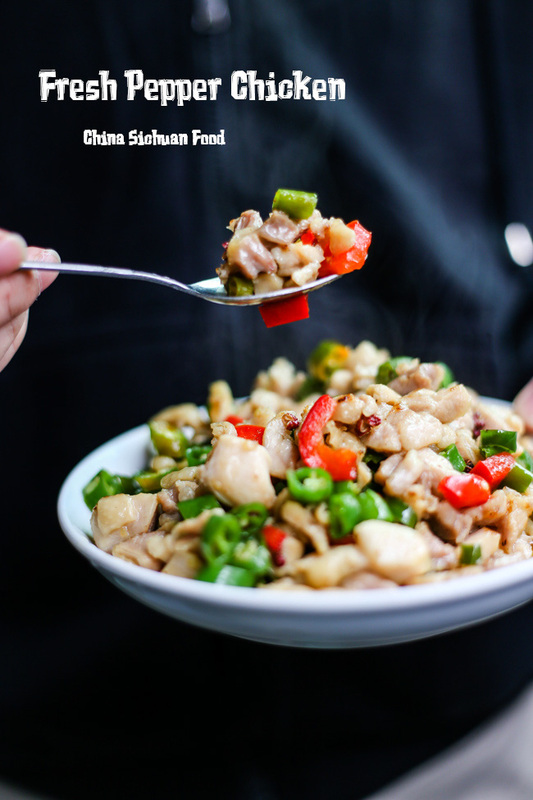 Thanks for your suggestion about the curry chicken, I believe I will love to provide a sichuan spicy twisted version. Happy cooking. 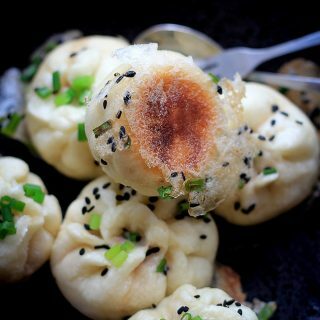 Nice dish, very easy to make. I also found it easy to try variations with green beans, snopeas and other vegetables besides peppers. I cook for friends and family and sometimes they don’t like spicy foods as much I do. Luckily. this chicken is tasty even as a milder variation. Thank you!